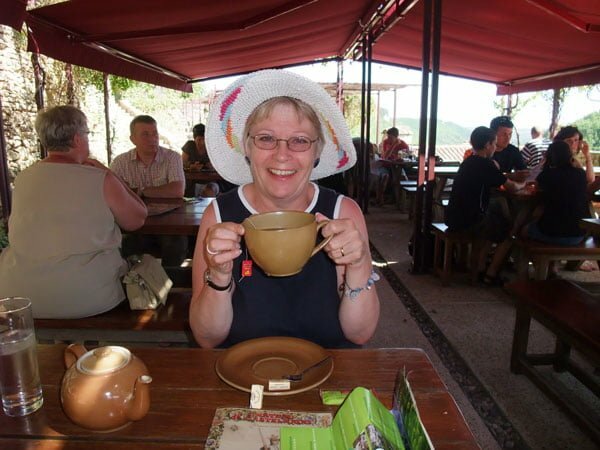 As part of our ‘Top Bloggers’ series, we interviewed Julia Skinner, a retired primary Headteacher who is far from finished teaching! Her 100Words challenge has encouraged young students to practise their writing skills – with thousands of submissions falling into her inbox from around the globe. Each week Julia posts a theme and challenges budding writers to create a short story in 100 words. Her success continued after launching her five sentence challenge for under 14’s and expanding her 100 word challenge to adults. Julia was kind enough to lend us her time to discuss her writing and why there is much to do after retirement – its never too late to pick up a new skill. How about painting, Pilates or cooking for a start? 1- One of our favourite quotes by Da Vinci is “learning never exhausts the mind”. We think it’s a great attitude to have, and the reason why many of our guests come on our activity holidays without having much prior experience. What skill have you yet to fully explore? When I retired the only thing I had on my ‘to do’ list was to learn to play the piano. It was something I had always wanted to do so in preparation of my leaving full time work, my husband bought me a key board. It packs away nicely and I’m ashamed to say that it is still under the stairs! Somehow, the time has never felt right. My understanding on IT & social media has grown immensely over the past few years but there are still the intricacies of blogging that I need to get my head round. I’m very passionate about school governance and will never get to the end of that particular instruction book! 2- Your 100 word challenge is a great idea to get more people writing! I see you now get entries from all over the world and your under 16 programme is hugely popular. The idea is a great way for others to learn about writing skills, but what have you learnt from them? The two challenges are similar in their approach. A prompt is set and a limit of 100 words is put onto the piece that is linked. I got the idea for the children’s version from taking part in a grown up version run by an American blogger. It seemed an ideal vehicle to encourage particularly reluctant writers in school. As I had some inquiries from adults about joining 100WC, I established 100 Word Challenge for Grown Ups (100WCGU) on my Julia’s Place blog. At times both challenges have had the same prompt! What both the children and grown ups have shown me is that whether it is 100 words or 100 pages, both pieces need careful thought and planning. They have also reminded me that writing takes time and commitment and I need to do it regularly and not just when the muse takes me. 3- I really like the bench series posts featured on your blog! Its such a simple way to introduce readers to a new location and the experiences to be had there. Where has been your favourite place to explore? My husband and I have been very lucky with our travels this year as we visited my brother in New Zealand in February and took in Singapore, Sydney and San Francisco as well as our recent jaunt to Philadelphia. We love France as well as the UK so choosing is REALLY difficult. Anywhere with history, culture, good food wine​ and lovely scenery gets our vote! We have Italy on our list for next year, fingers crossed! 4- Self described as a”retired but not retiring woman”, after retiring as a headteacher you seem to have gotten busier than ever! How would you describe ‘retired’ life and what’s the best thing you’ve done since leaving the 9-5? Life is certainly busy for me now I’ve retired. The online personas I have [gave] me a second career that I had no idea I wanted. I was ready to retire from headship but not education. The best thing I did was join Twitter! It brought me into blogging which then took me to 100Word Challenge and now I have friends across the world. 5- You’ve set up writing schemes for both young and old. From five sentences to 100 words, you’ve made it easy for people to pick up the pen or clutch at their keyboard. Perhaps you could give us five sentences why readers should try something new! It is great fun and helps keep me young! If you want to read more about Julias travels and her writing you can do so on her blog, Julias Place. Julia’s writing was recognised by Woman & Home magazine in 2014 and continues to provide inspiration to thousands of school children and retiree’s.